Add all ingredients to a blender. Blend until smooth and pour into a white wine glass or small tumbler. 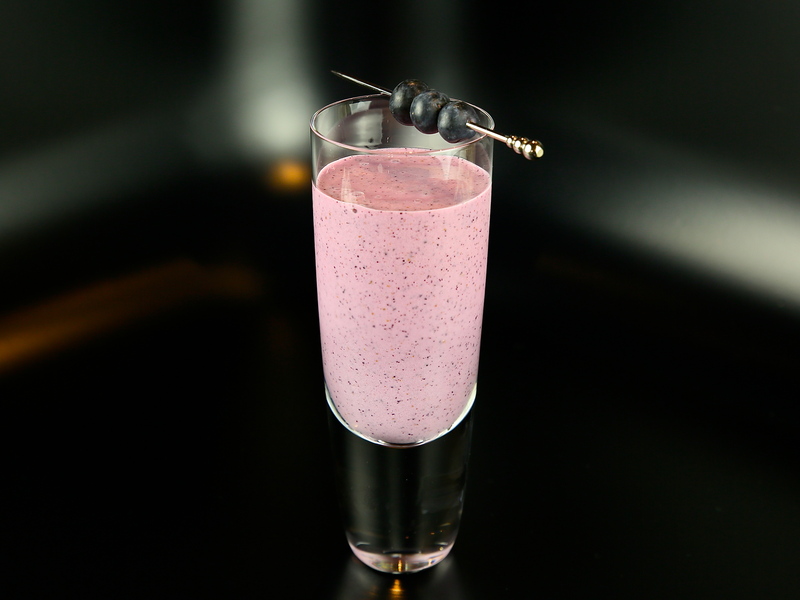 Garnish with a few skewered blueberries. A Batida is a sweet, fruity, and fun blended cocktail from Brazil – using their home-grown sugar-cane rum: Cachaça. Typically made with Passion Fruit or Coconut, here we use blueberries, though you can easily substitute an equal measure of strawberries. 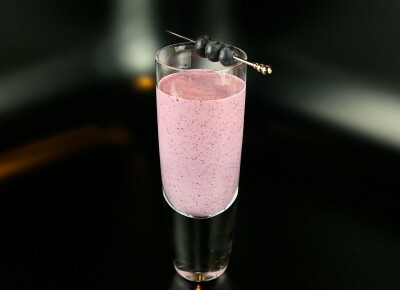 Perfect for summer, this is a simple and delightful blend of a Brazilian rum, fruit, sweetened condensed milk, and ice. 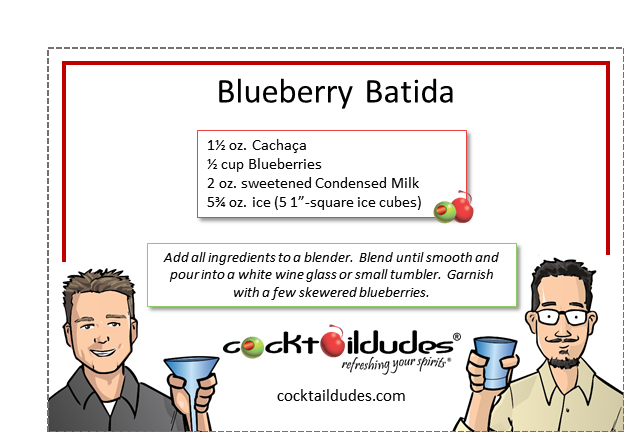 Check out the other Batidas we’ve made, including some of our crazier versions of this refreshing cocktail. Cheers!